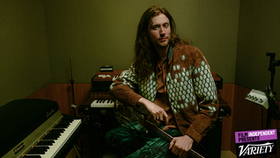 Ludwig Göransson is a Los Angeles-based Swedish musician best known for his often playful film and television scores. Göransson grew up with a musician father and began music lessons at a young age. Reared mostly on pop/rock, he branched into jazz and classical in his teens, and went on to graduate from the Royal College of Music in Stockholm. He then relocated to Los Angeles, enrolled in the Scoring for Motion Picture and Television program at the University of Southern California, and soon found work as an assistant to film composer Theodore Shapiro (Old School, Tropic Thunder, St. Vincent), who shared Göransson's penchant for comedy. After earning some credits on film shorts and in television, the young composer got his breakthrough assignment in 2009 on what would become the long-running sitcom Community, which led to concurrent work on New Girl and Happy Endings, among other TV series. During his time on Community, he also found work on feature films including the comedy We're the Millers and the biopic Fruitvale Station, both released in 2013. Camp Demonstrating his hands-on interest in genres beyond his screen work -- much of which he had performed and recorded all on his own unless an orchestra was warranted -- he collaborated with Community cast member Donald Glover on Glover's rap releases under the Childish Gambino pseudonym, including 2011's Camp and 2013's Because the Internet. Göransson also started his own solo project under the name Ludovin, releasing the indie pop EP How to Find a Party in 2013 while finding time to collaborate with other recording artists, such as producing two songs on Days Are Gone for indie rock band HAIM and writing songs for, among others, Chance the Rapper and Pell. Community ended its run in 2015, a year that saw Göransson's scoring work in the critically acclaimed Rocky franchise entry Creed. 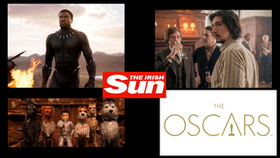 His third collaboration with director Ryan Coogler and actor Michael B. Jordan was for the score to the blockbuster superhero flick Black Panther, which arrived in 2018 and charted at 64 on the Billboard 200. 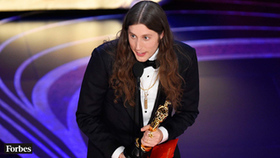 With his first time to the Oscars, Ludwig Goransson won for the stirring score he composed for the Marvel action hero movie Black Panther. On stage at the Oscars, the Swedish composer thanked the film's director Ryan Coogler, whom he roomed with while they were students at USC a dozen years ago. It was the third Oscar win of the night for the Marvel movie. He also thanked those with whom he worked closely to compose the score. "I want to share this award with all the incredible African artists that I worked with on the score, Baaba Maal, Massamba Diop and all the classical musicians in London that recorded on the score," he said onstage. 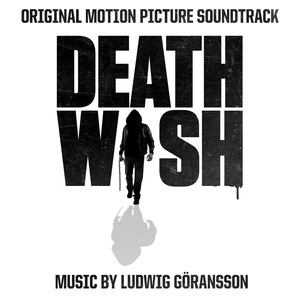 Goransson was up in a competitive category that included returning Oscar winner Alexandre Desplat, who was up for his music for Wes Anderson's Isle of Dogs. Desplat won in 2018 for The Shape of Water as well as Terence Blanchard, who composed the score for Spike Lee's BlacKkKlansman. Goransson also vied for the Best Original Score award with four-time nominee (in this category) Marc Shaiman, who composed Disney's Mary Poppins Returns, and Nicholas Britell, for the music he created for Barry Jenkins' If Beale Street Could Talk. Brittell had been nominated once before, for Jenkins' previous film, 2016's Moonlight.